Life insurance doesn't have to be complicated. 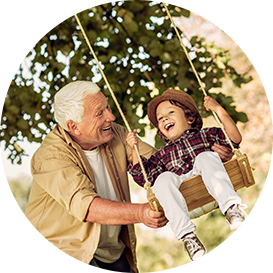 For those 50 to 80 years old, Gerber Life offers Guaranteed Life Insurance, a whole life insurance policy that doesn't require a medical exam. It's easy to purchase and just as simple to use. Don't just take our word for it. Find out what others are saying in the reviews below. Already have Gerber Life's Guaranteed Life Insurance Plan? We'd love to hear your feedback! Gerber Life Guaranteed Life Insurance Plan.